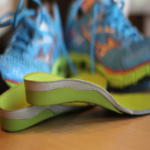 Orthotics or insoles are podiatric medical devices placed into your footwear designed specifically to improve foot & lower limb function and biomechanical disorders and foot pain. 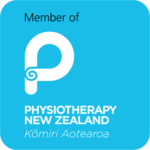 We use them in the short term when we need to reduce stress within an injury and correct biomechanical faults. And in the long term when someone has a repetitive injury, biomechanical disorders within the foot or a deformity of the foot. They will also allow you to continue exercising as much as you can while your injury resolves. Moonboots- These are the modern alternative to casts and allow patients to essentially remove their casts when showering or sleeping for a more functional life. Ankle Braces- After an ankle sprain, an ankle can be left with pain and instability. Ankle Braces allow you get back to normal life quicker and reduce the likelihood of another sprain. We stock many types and sizes of braces. Leg length raises- Leg length differences are a very common and normal human variant and can also be caused by major traumas. Unlike other podiatrists and health professions, we custom make our raises to correct a length leg difference accurately and from the heel to toe. Heel Raises- We supply over the counter raises and bespoke raises. These are used to take stress off the achilles tendon and calf muscles.